Elaine Huffman, who organized the whole durn thing, also designed these gorgeous diplomas. This is prettier than my degree from RISD! It was a very nice... enormous... conference room! I am, of course, sitting in the back row, watching Marie Browning teach her Seuss Garden workshop using Tombow markers. She has written a gazillion books, designs craft products, demos all over the world, is really nice, and, MOST important - she has a wicked sense of humor. She's my new hero. Here is my initial drawing. I liked it uncolored too - so much potential! This is as far as I got during the conference. I'm actually STILL working on it (see next picture)! I loved the watercolor/marker techniques we learned and the secret blending tips AND... we used GLUE pens(?!) as a resist for those white details. Very cool. My other favoritest new hero is Meredith Yuhas. Um... DR. Meredith Yuhas! She's a professor at Saint Joseph's College in CT, she lectures on mindful meditation, she is also stand-up-comedian-funny, and she talks TWICE as fast as I do when I'm excited!!! 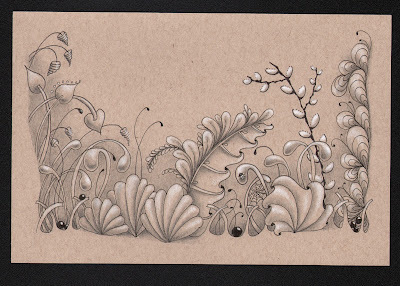 Meredith taught us how to turn our tangles into a Zentangle garden on toned paper. This is the opposite of the Seuss Garden... no color.... but I loved it just as much. I'm thinking I'll probably offer these two workshops at my BeeHive studio in May or June, be sure to let me know if you might be interested. The rumors were true!! Every color and size of envelope. I even found biz card sized envies in purple and teal! ooolala! After shopping and a fabulous Italian dinner, we headed back to the Hotel Northampton for long goodbyes and extreme silliness! Every photo I have seen of this hulabaloo is blurry, as are my own photos. I think this was due to all the laughter! No one could hold their camera still! Jenny Farrel, from Australia made herself a "sandwich" between me (left) and Marie Browning (right). The only thing missing from her sandwich was some vegemite spread - which she gave us in teeny sample size containers, direct from the land down under. Did I mention Jenny also had a wicked sense of humor? Something about Tangle U seemed to attract those of us who really love to laugh! Here is a photo I snitched from Sherry Cook - of Jenny paying homage to me. 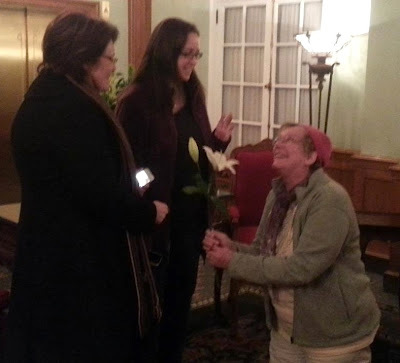 I'm not sure where she found the lily - probably from a hotel display - and it kind of looks like I'm "blessing" her?! "A blessing on your tangles!" Finally, someone (me) suggested we do a group shot. I wish I had one of the entire group of 57 (?) graduates. This photo I snitched from Lisa Heron (the one in blue) - from Canada. Regina, rhymes with... well, nevermind. Yes, it's still funny! Anyway, the silly jokes help me remember names. :-) I have already forgotten most names - I'm awful that way - but I remember your faces and I can't wait to hang out with you all again soon! MaryAnn - you look like our garden gnome! hee hee. Brand new copies of The Art of Zentangle !! This is a very appealing new book from Walter Foster publishing and I had a very hard time waiting until today to examine it more closely! 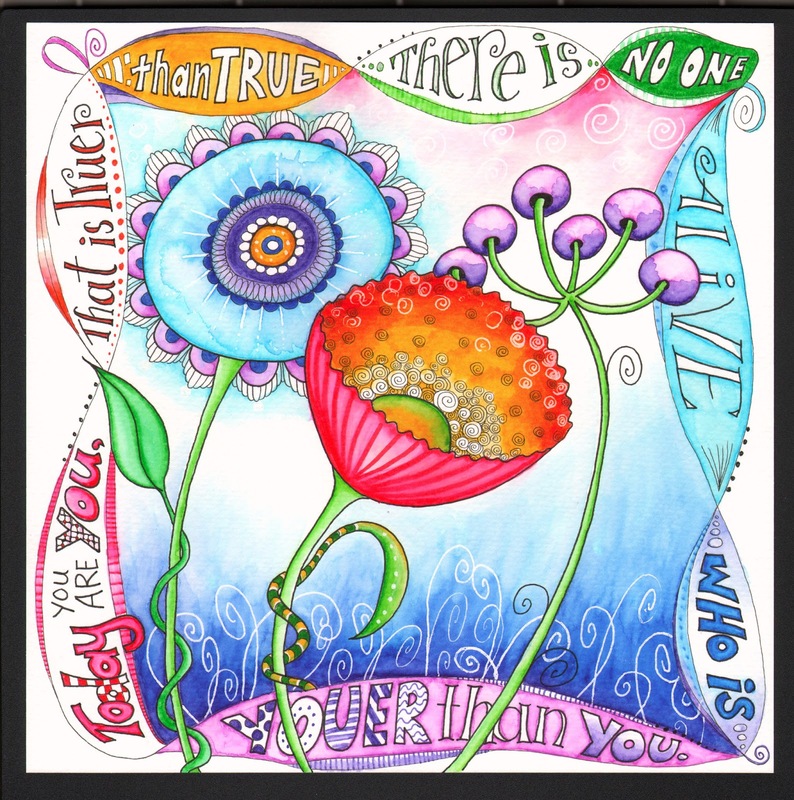 Of all the new Zentangle® books coming out, so far, this is my favorite. Lots of drawings, not so much text! I actually "read" the whole book. :-) I love the way it is designed as a workbook, with nice paper so you can draw along with the inspiring images. The cover doesn't say so, but the author/artists included are CZTs Penny Raile, Norma Burnell, Margaret Bremner, and Lara Williams. The borders of the pages are color coded by artist, so you can easily flip to your favorite section. MY favorite section is the blue one... Norma Burnell's fairies have my jaw hanging open. But then, I placed my order for this book - last fall - in anticipation of her work! This book, once again, gives me "page envy". Everyone seems to have so much SPACE these days (wink). Oh what I could have done with 144 pages... This is typical of Walter Foster style books though - they really focus on showing the steps for drawing. And this book definitely focuses on drawing. I don't see that as a negative - there are plenty of books out there that explain the concept, method, philosophy, etc. 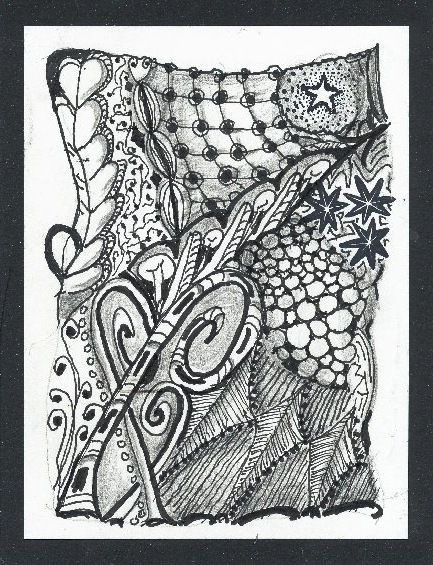 of Zentangle. This book does NOT cover any of that. It is a ZIA drawing workbook - with a couple of interesting tangle craft projects thrown in at the end. (I have to try the glitter tangling...) The subtitle is "50 inspiring drawings, designs & ideas for the meditative artist." And that is a pretty good description. Without that wording, I would have expected "The Art of Zentangle" to be either a gallery of works, or more about the process. I had bought a few copies of this book for my shop, but it's crazy for anyone to buy this book in a store! Amazon has it for practically half price! They did that with Joy of Zentangle too. I will never understand why they do that? Although Amazon still is saying it is "pre-order" and I HAVE actual copies in my hot little hands (actually, they are rather cold at the moment...). Oh, just a couple of negatives... $19.95 price - no biggie, it's cheaper online. It's big, not really portable, but nice paper. The font for the text is "hand-written" and hard to read, but there's not too much to read. :-) The cover is crazy and hard to read too, but I actually really like it like that... reminds me of Tangled Fashionista (my original cover).... And the "Getting Started" section feels rather vague. But, like the Harry Potter movies, those of us who have read the books just fill "all that" in in our heads. 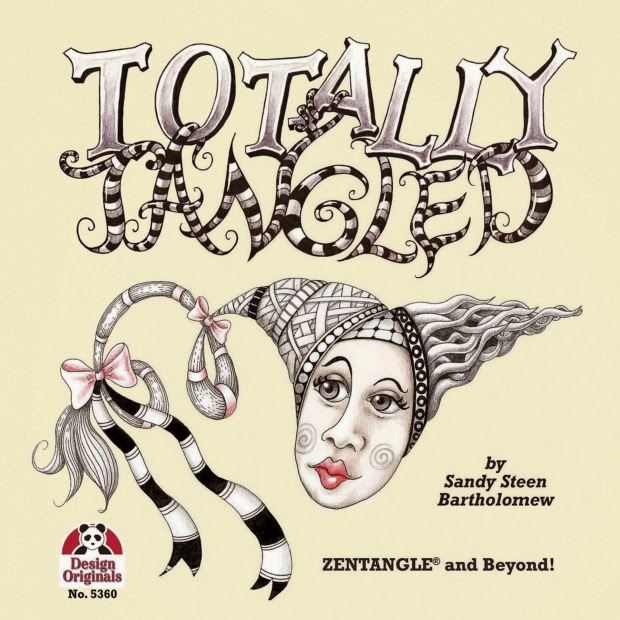 I, Sandy Steen Bartholomew, give The Art of Zentangle ," two inky-thumbs up! The hotel rooms were all Santa Fe style suites with their own kitchens and tables for midnight journaling, conveniently located in Santa Fe proper, and costing only $55 night plus tax (even for two people if you wanted to team up). There were five full days of instruction, studio time, and journaling forays in and around Santa Fe, and a 6th full day of studio time in the classroom to wrap up everything and finish your pages. What do you think? Interested? Email Jessica and let her know! I sure would love to go to Santa Fe for my birthday. And I can't think of anyone I'd rather spend it with than you folks!! 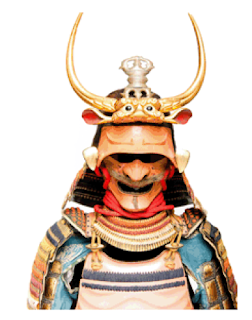 Last weekend, my son and his friend accompanied me to the Currier Museum of Art in Manchester, NH to see Lethal Beauty: Samurai Weapons and Armor Exhibit. It was really interesting and rather puzzling - as any exploration of another culture tends to be. I am still wondering over the absolutely terrifying mask and helmet that featured a rice bowl and chopsticks, in the middle of the forehead...? Perhaps the first lunchbox? (Or Bento box, actually). ... in my new notebook. I had heard about the Whitelines series of notebooks - very cool idea... the paper is very pale gray and the lines are... you guessed it... they are white lines. They don't interfere with your words and drawings the way that black lines do. A few weeks ago, I stumbled across the notebooks on Fab.com and not only can I not resist a great deal when it's on something I actually want, but they had these uber-cool-super-geeky-new-notebooks called Whitelines Link. Same notebooks, but with special little squares on the corners that allow you to use a (free) app to photograph the page on your iPhone. Big Whoop? Mmmhmmm. But it takes the photograph, automatically squares up the page, removes any lines or grids from the background, AND will pop it into your Evernote or whatever account. Yes, of COURSE I ordered one! 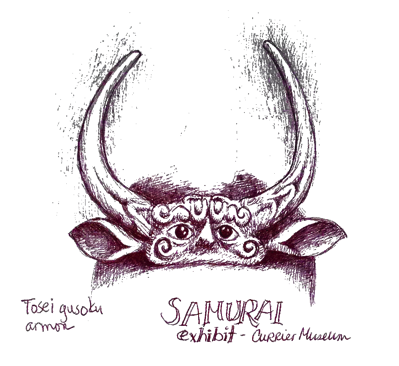 I tested it out at the Samurai exhibit. I used a black PaperMate ball-point pen, yes, the cheapy kind - it's my favorite drawing pen, and this Whitelines Link notebook. 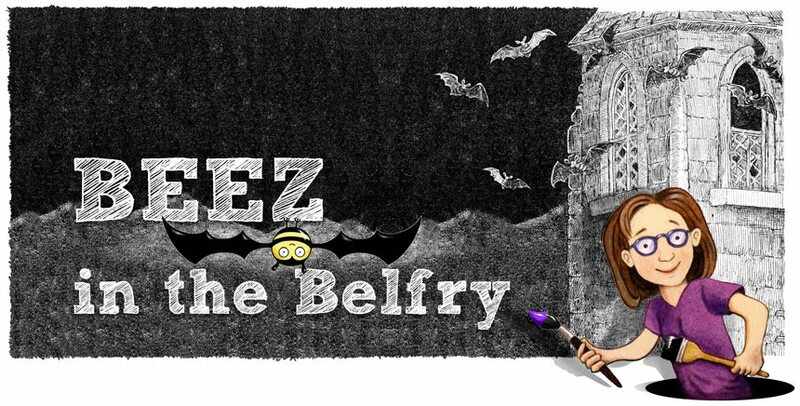 As I was getting the link for the exhibit to paste up above, I noticed they have the actual mask that I sketched, on the website! Speaking of nightmares. Well, dreams actually. I have a fantasy of a dream calendar, notebook App thingy. If any of you readers are techies,, or know someone who is, please pass them my idea. It will make them rich, and me - very happy in my OCD way. This is my calendar. 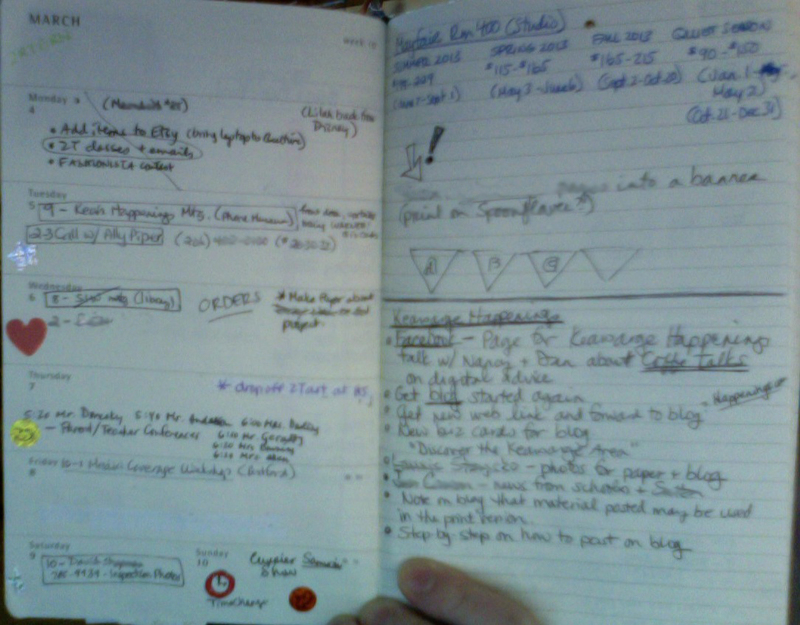 I use a Moleskine journal that has a weekly calendar on the left page and a notebook page on the right. 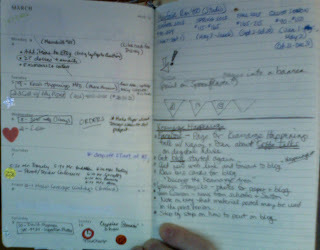 This works for me - I have to be able to write things out and make sketches, etc. with an actual pen on paper. But I am also a tech-geek. I want an app that will take a picture of this... mess... and auto-magically put the events and times in my Mac calendar, and the notes into Evernote and the people and phone numbers into Address Book. OMG. And I use the little stickers to keep track of when and how long I exercise. I want that on my computer and iPhone too! I have been sitting here in The BeeHive putting together 60 "kits" for the workshop I am teaching at TangleU next week. And making notes. And staring at the wall thinking. I don't think I will include that last part in my actual class even though it is a vital part of the process. (The staring part.) One learns a lot about oneself just by assembling a Right Brain Business Plan, but I realized that I have learned even MORE about myself by trying to think of how to TEACH it to others! I am a licensed facilitator, so it should be easy... Just follow the instructions in the manual, right? But one thing I have learned through this RBBP process, is that I actually hate teaching. Yes, you heard that right. I hate teaching. And secondly, I can't stand in front of a huge group of people and teach something that is based on someone else's experiences, values or philosophy. But I CAN talk to a group of people about my OWN ideas and experiences. I am still very introverted and the effort takes an enormous toll on me emotionally and energetically - but I really enjoy connecting with people, finding common ground, and discovering how what I have learned can help them in some way. And best of all, helping them "make it their own." In preparing for this upcoming workshop, I have been examining my RBBP that I created over a year ago. Some things haven't changed - my Big Vision, Values, and Passions. But just about everything else needs some serious updating and clarification! 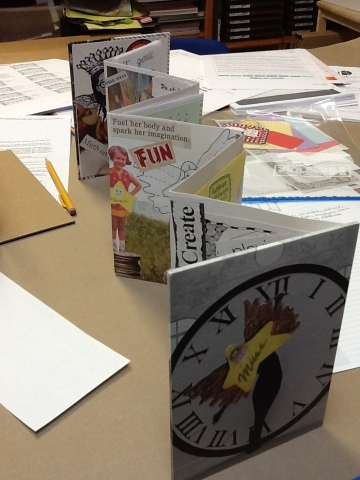 If you'd like to play, I have a few extra accordion book kits, or you could bring an altered book or journal to work in, or do a big vision board on fome board or cardboard. Bring some magazines to cut up, glue sticks, colorful envelopes, tape, washi tape, index cards.... Snacks! ( we always seem to forget to plan for dinner!). What happened in The BeeHive on Friday? The kids took over the main room with Lilah leading a class on Lilah Beans - of course. She started everyone out using Crayola Model Magic. It's a rather amazing air-dry clay that is surprisingly light and paper-y-like. By the time they had sculpted their LBs (Lilah Beans), drawn an army of LBs (Lilah Beans), and then run around the studio like LBs (Lunatic Banshees, :-) )... the clay was dry enough to decorate using markers. 1. Never, ever, ever... EVER... draw on someone else's work, unless they invite you to. 2. Show your students the basics, and then encourage them to add their own style. Us big kids were playing with sharp objects! Well, sort-of-sharp. The gouges we use for eraser-carving, or rubber stamp carving, were originally intended for use on linoleum blocks. Carving is actually as easy as learning Zentangle®. There are a few tricks that can save you pounds of trouble and I keep a bucket of scrap material on the table to practice the strokes. Once everyone gets the feel of how the gauges cut through the soft material, carving an actual stamp is more like tracing a design. Simple. I spent the first stamp-carving Friday working on this fish. I decided to keep its body solid so I could draw the details on later. This picture (above) shows the test prints I made. I made a new print in my sketchbook using the Inktense blocks (I learned this technique in the Inktense class I am taking online!) The bottom fish was the first stamping - nice and dark. I spritzed the stamp with water and did the second stamp - which didn't print as well... but ended up looking nicer after adding some more pencil work. I used a white gel pen to add the scales to the darker fish. And then I added swirls and waves until I could no longer see straight and went to bed. This past Friday, I carved a mustache stamp and then a flower because Lilah was NOT impressed with the mustache. :-/ I am so addicted to this idea of using Inktense blocks to "ink-up" the stamps!!! You just spritz the stamp with water and use the side of the block to spread color over the stamp surface, then print. When the color is dry... it's permanent. 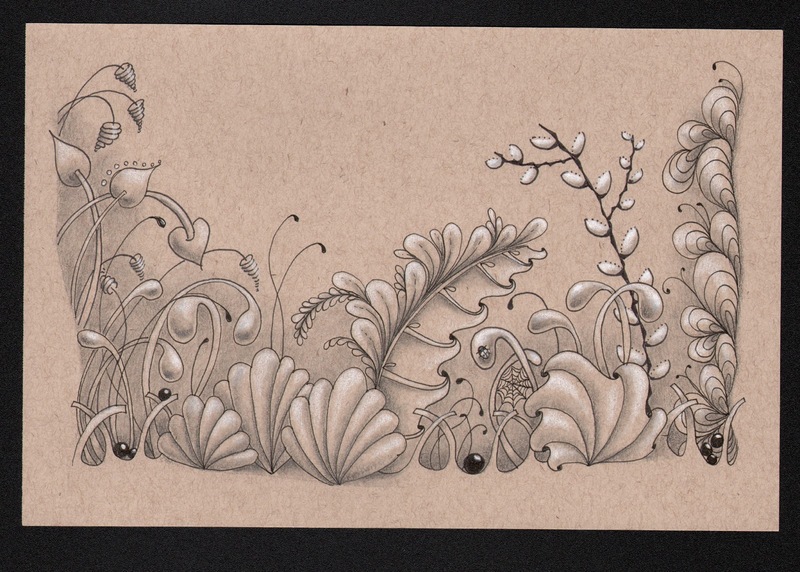 I'm not quite sure what I will do with this flower page. I can color in each petal with a different color and they won't bleed with the previous colors. It's just SO exciting isn't it? My youngest child had Stage 1V metastic melanoma, origin on his lower right eyelid. Many surgeries, and ultimately, an acceptance into a clinical trial at NCI in Bethesda, MD, beginning at the first of the year 2012. There were months of angst, of course. He is miraculously cancer free. The middle kid has an elevated PSA (non-cancerous?) and has had to have radiation for a 'cyst' on his forehead. What's with that? His sister, the first born, and a free spirit, almost exactly a year later, had a diagnosis of Stage IV breast cancer metastasized to her lung. She has responded well to chemo .... prognosis? who knows? I will never be really good at it... He! !, I'm 86 ... macular degeneration and shaky hands .... but thanks to you and Jessica, I'm getting better and enjoying. Here's what I did today. It will go to Operation Write Home: Helping heroes keep in touch with home, so is regulation quarter fold size and has used 2 rubber stamps.